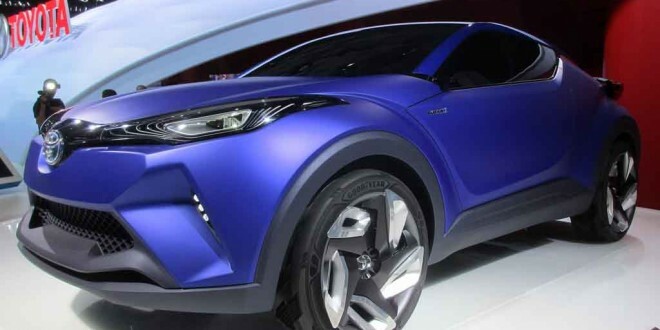 This handsome Toyota C-HR concept has a possible production future. It’s often the case that Geneva shows the concept cars, while the two larger shows, Paris and Frankfurt, have more of an emphasis on production cars that we will actually see in showrooms. So it proved to be at Paris this year anyway, with a huge amount of new product on display, even if some of it won’t reach here until next year. Seeing as we were in Paris, I thought it appropriate to start with Peugeot and besides, they were the first stand I hit in Hall 1. 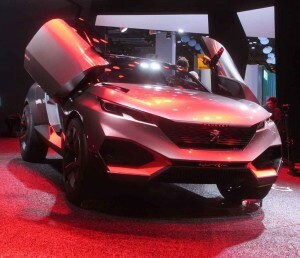 You can generally rely on Peugeot for exciting concepts. This is the Quartz. An updated Exalt concept was the highlight, which incorporates trim made from recycled newspapers. This high-tech design was complemented by a beautifully styled sofa, made of Onyx and carbon fibre. Believe it or not, you can buy this now. More prosaically perhaps, we also saw the new 108, which will be here for January. 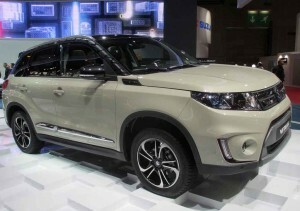 It’s one of the trio that also comprise the Citroen C1 and Toyota Aygo. Another car I want to drive is the new 308 GT – note GT and not GTI so there may be a faster version on the way. 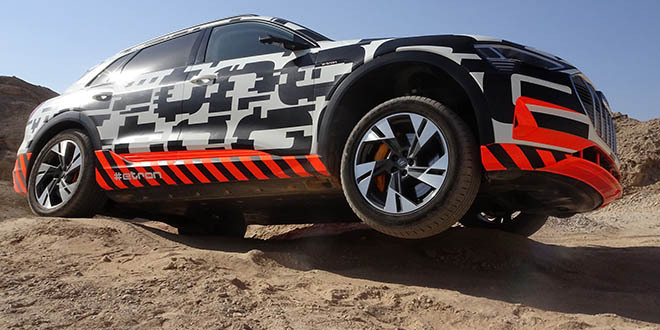 It comes with either a 2.0 TDI with 180 bhp or a more powerful 1.6 litre petrol turbo. In either guise it should be a fun drive. Citroen across the way were showing their new C4-based Cactus, with Hybrid power provided not from batteries but from compressed air. This is both lighter and less expensive technology and some impressive fuel economy figures are being claimed. Ford had the definitive Euro-spec Mustang on display, the first time this car will be sold on this side of the Atlantic. It’s coming to Ireland around the middle of the year and already, five have been ordered. Standard power comes from a 2.3 litre Ecoboost unit, although a V8 5.0 litre will also be offered. 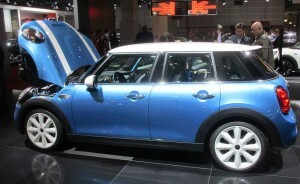 The wonder is it took Mini so long to make a five door. The new Mondeo was also on show, a car I’ll get to drive in Spain next week. It doesn’t look radically different from the old model although the interior is much nicer and some new engines make their appearance, including an interesting 1.5 litre Ecoboost turbo petrol. As always, though, diesel will be the big seller. A revised Focus featuring a dashboard colour touch screen will be with us for January and next year, we’ll see revised versions of the C-Max and Grand C-Max as well as a brand new S-Max, based on the Mondeo platform. The Fiat 500X makes a convincing five door family hatchback while retaining the spirit of the cinquecento. 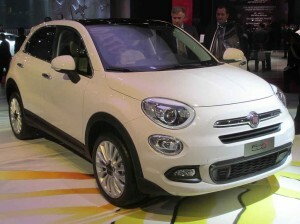 Fiat showed the latest iteration of the 500 theme, the 500X, a full-size five door family hatchback that retains a lot of the cute looks of the 500. If they price it well it could do some good business. 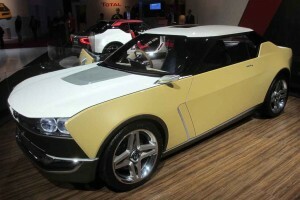 Nissan showed two different concepts which they dubbed IDX. The general style was retro, reminding me of nothing more than an old Datsun 120Y coupé but the execution was up to the minute. There’s talk that they’ll build something based on one of these and power it with a simple rear wheel drive platform. I loved them. Nissan’s IDX will hopefully see production in some form. Coming back down to earth, the Pulsar made its debut and this is an important car as it represents Nissan’s return to the family hatchback market, having abandoned it a few years ago. 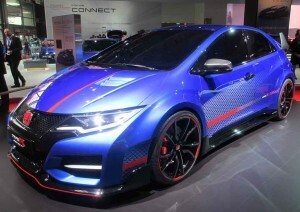 The Honda Civic Type R is officially still a concept but it’s very close to final production trim. We’ve seen various Civic Type-R concepts before, but now we have the definitive version which will arrive here in time for Summer. Powered by a 2.0 litre turbo already capable of over 280 bhp, power goes to the front wheel through a six speed manual. The stated aim is to make this car the fastest front wheel drive production car around the Nurburgring, so watch out Renault and Seat. A new 1.6 litre turbo-diesel intended for the CR-V also made its debut. Almost unbelievably it produces a whopping 160 bhp. I can remember when that was an extraordinary figure for a petrol turbo. Three concept cars were on show: The HR-V, CR-V and Jazz but all looked production ready and should be here in 2015. The new, lighter Mazda MX5 was one of the stars of the show. 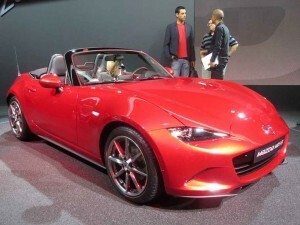 It was a quiet show for Mazda although their major launch was the much anticipated MX-5 which looked lithe and stunning. A joint effort with Fiat, it’s lighter than before and powered by a new 1.5 litre engine using SkyActiv technology. Another car to savour. 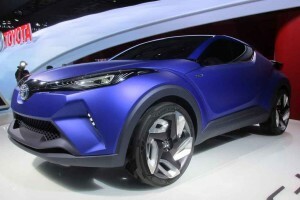 Toyota were showing a very handsome concept, the C-HR, powered by a petrol electric hybrid. There’s talk that a production car based on it might see the light of day and it’s certainly one to look out for. I really liked this Volkwsagen XL Sport powered by a 1.2 litre Ducati motorbike engine. 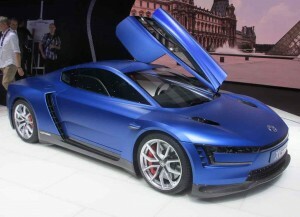 Based on the XL1 city car, it has a top speed of over 160 mph. The big news on the Volkswagen stand was the new Passat, again with a strong family resemblance to the old model. A GTE version is on offer, powered by a plug in electric hybrid. It will be fascinating to see how it goes up against the likes of the new Mondeo when deliveries start in time for January. It’s available to order now. We haven’t seen the new Audi TT on these shores yet, but already the Roadster version is ready to go. It was shown along with a TT Sportback Concept, a five door coupé, proving that the TT can grow into other sectors. The new Skoda Fabia has a sharper look both inside and out. 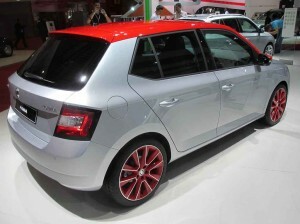 The Fabia made its debut on the Skoda stand and its a neat and attractive design with a much improved interior. It should be priced very competitively on its arrival here. 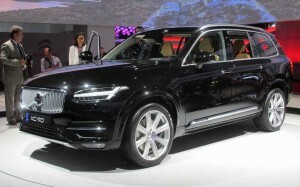 The new Volvo XC90 made its debut at Paris. I’ve written before about the XE, the most important car to come out of Jaguar for many years as it brings them back into the highly competitive junior executive sector. Full details of the range were announced for the first time and I’m mildly disappointed that after all the talk of lightweight, aluminium construction, the XE is no lighter than a 3 Series. I still reckon it’ll be a cracking car though but we won’t see it here until well into 2015. Finally to Opel, who put on the glitziest launch of the show for their new Corsa, with an appearance by Claudia Schiffer. They needn’t have bothered as the scripted dialogue between herself and the suit from Opel was so wooden you could have made an Ark out of it. The Corsa itself looks nice inside and out and it introduces a three cylinder 1.0 litre turbo petrol that could be the pick of the range. 1.2 and 1.4 litre options will also be on sale. A very quick Adam S and a rugged Adam Rocks together with an all new 2.0 litre turbo-diesel completed the Opel offerings at the show.